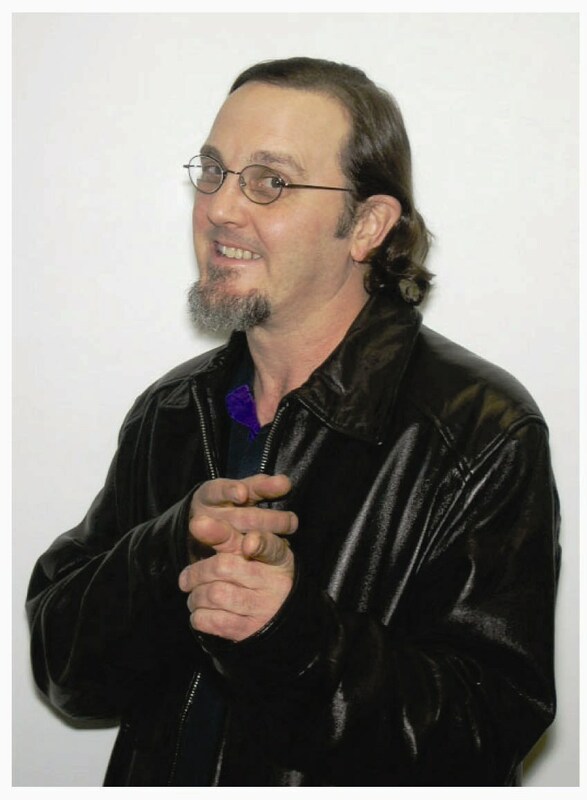 On Wednesday January 25 it will be three years since many of us here in north-central Ohio lost a good friend, who also happened to be perhaps the most natural-born talented bass player ever. Michael Ervin Johnson, only 48, passed on thanks to heart failure. 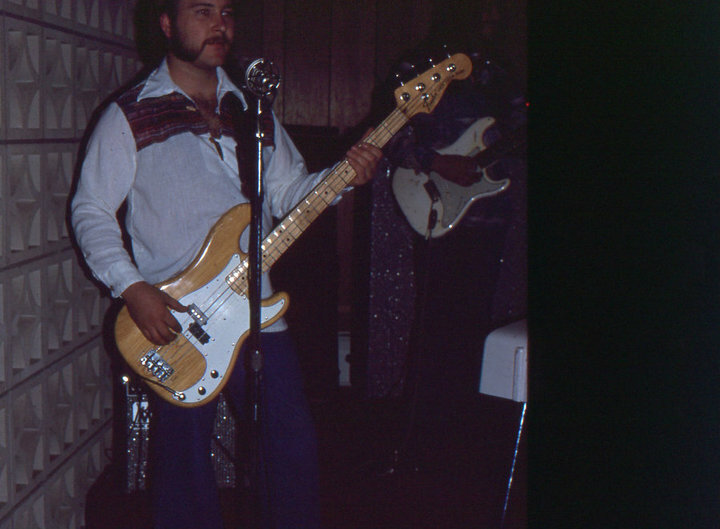 Back in the 70’s Michael first picked up a bass and was a natural, instantly. He could listen to a tune once and play the bass lines perfectly. Many musicians back in the day remarked how proficient, how effortlessly, how quick to adapt and learn songs he was. A truly gifted musician. And although he didn’t do it often enough, Michael was one hell of a singer, a talent that he shared with his family. Michael played in a number of bands in the 70’s in our little region of Ohio. He was also a ready substitute and fill in for various bands and while he shown brightly as a full time member of assorted bands and permutations he probably had the most fun and most recognition as a founding member of Damage, a hard rock band out of Wayne County (primarily Orrville & Wooster musicians) that built a solid and popular reputation during the latter years of the 70’s throughout the Wayne County – Canton – Akron – Mansfield region. 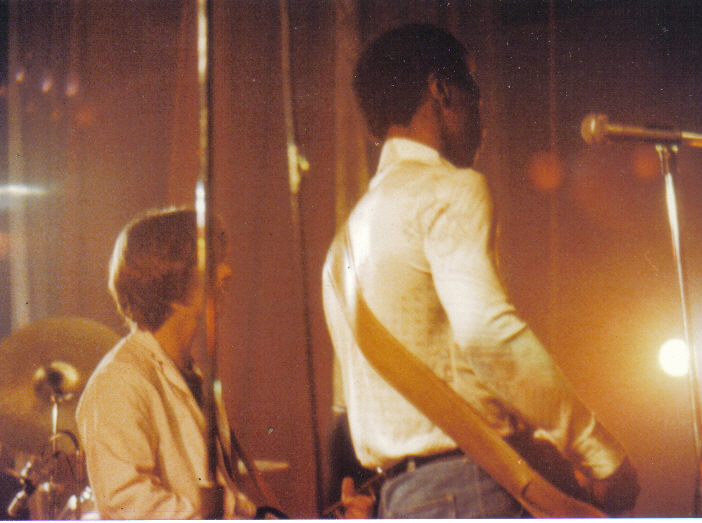 In Damage Michael, a black man, played the heaviest, funkiest, sweatiest, crunchiest rock ‘n roll bass riffs around. He was untouchable, as numerous musicians have stated over the years. Talented, gifted, he could play any style of music proficiently, whether it was rock ‘n roll, R & B, funk, soul, gospel, you name it, if Michael liked it, he could play it. He was the USA answer to Phil Lynott of Thin Lizzy. In Damage Michael was often times ‘the show’. Meaning, if the vibe wasn’t quite right, if the crowd was moody or cranky, Michael would slap the crap out of that bass even more and start working his ‘moves’ on stage that nearly always got the crowd in a more festive, and dancing, mood. Yes, Michael knew all about ‘the show’ part of show business and the others did their best to emulate him. 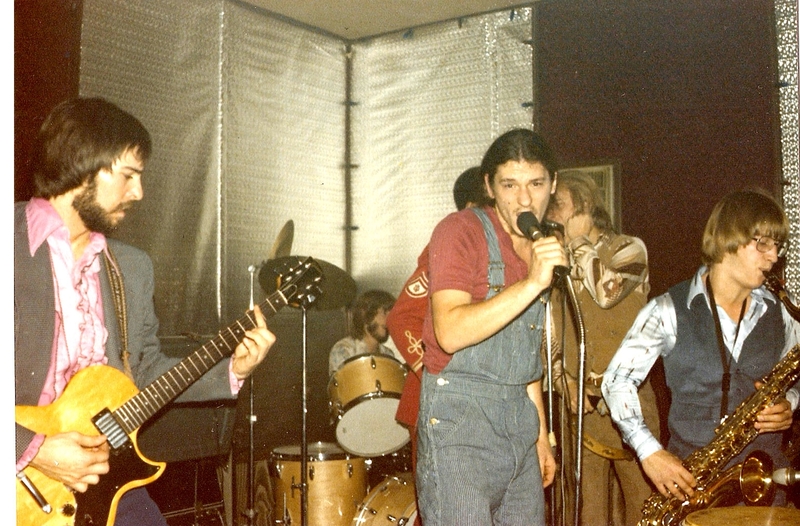 Besides Michael, who also contributed back up vocals, Damage consisted of Jerry Kirven and Mark Good on guitars, drummer Tom ‘Bones’ Morrison and singer Rick Thistlethwaite. 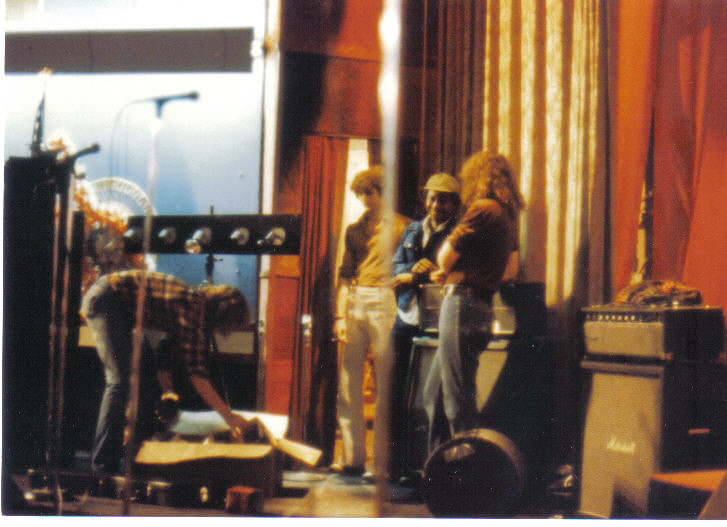 Rick Gidley joined the band as the light & sound tech (and many other duties). Beyond the music, just as a person, Michael Johnson was one hell of a good guy. Have so many good and fun memories of him from back in the day, through high school and just beyond a bit. Michael was cool in a variety of ways, chief among his ‘cools’ was he never showed any pressure, anxiety or worry. He was cool, calm & collected. I’ve lost quite a number of friends over the years and it will likely continue, but sitting here tonight planning my week, it just hit me why January 25 was significant. Michael! Too young. This website owner (far right), Michael & Castle Theatre manager watch Rick Gidley do all the heavy lifting prior to a gig at the Castle Theatre. I remember going to the services for Michael and the place was absolutely packed, wall to wall people, standing room only! I had to smile. Of course, everyone loved Michael! The hardest part was watching his family, his siblings, send him off. The wonderful Bishop Lottie Smith handled the services with his brother Rev. Jimmy Johnson reading scriptures while his brother Rufus sang. Oh yeah, can Rufus ever sing. Ask around. As good as Michael was on a bass, Rufus is that good with his voice. Another generation of pure talent who performed was Michael’s niece, Tiffany Johnson. And of course sister Ruth, a friend from high school, was there to comfort their Mother, Mrs. Gertrude Johnson-Howard, a precious, sweet lady who, over the years, never knew a stranger and welcomed any stray (like myself) who wandered into their home with one of her kids. A beautiful lady (and who graciously sent me one of the sweetiest, most cherished letters afterwards). Michael left behind his wife, Pamela, and children Erica Johnson, Nathan & Nikolas Johnson. And lots and lots of memories that hundreds of people who knew him will not likely forget. Yeah, Michael was that good. NOTE: Click on thumbnails to enlarge! So here’s the scenario. You grow up in the rock ‘n roll era of the 1960’s & 1970’s with ‘the gift’, a gift of musical talent and you utilize that gift, that passion to become a professional musician, a dream that many had during that time period when everyone wanted to be a rock star. 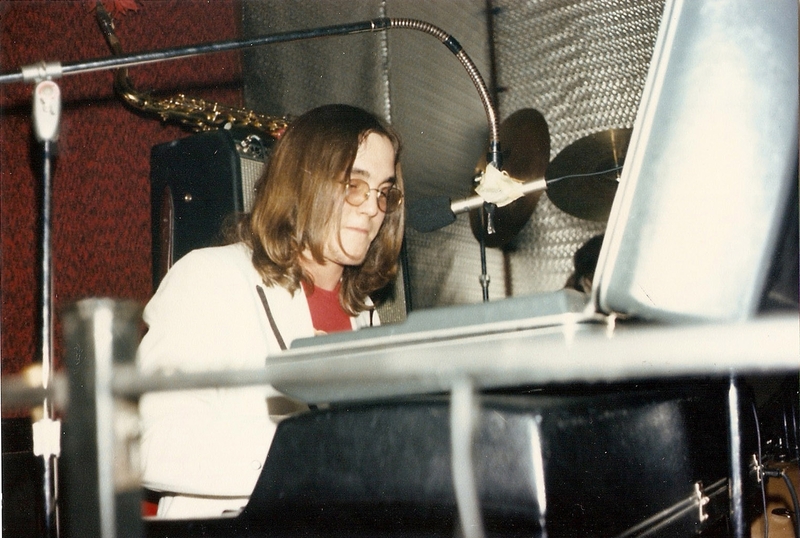 And now, today, all these years later, 35 years later to be exact, not only are you still a working professional but after immersing yourself in all the musical programs offered during your high school years of the 70’s, you are about to return to play for your former classmates. Such is the case of keyboardist Ed ‘Eddie Mars’ Marthey of the small town of Orrville, OH, known far and wide for Smucker’s jelly and (in)famous basketball coach Bobby Knight. Marthey, a seasoned pro who’s pretty much seen and done it all, is going to do what more than one has thought about over the years, bring his band, Liquid Sky, to play for his former classmates for the 35th class reunion, in this case the Orrville High School (OHS) Class of 1976’s 35th reunion that will be held September 16-17 this year. 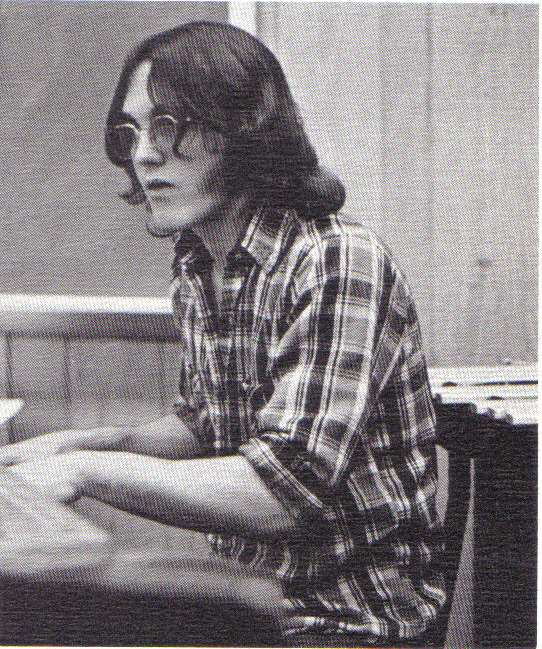 Ed Marthey hammering the keys in high school. Having attended high school with Marthey and watching him perform, especially back in the days of the 70’s and 80’s, it’s always been clear that he has the knowledge, talent and aptitude for all things musicial. His tastes in music, even back then, were varied. He has a true appreciation and vast knowledge for the art. Even back in the 60’s and 70’s I knew that Orrville had produced a lot of many talented musicians, several who went on to become professionals like Ron Jarvis, Jack Schantz, Randy Coole, Marthey and others. Must be something in the water, or maybe in the jelly! When the 35th Orrville High School Class of 1976 Reunion committee starting planning the reunion for later on this year it was decided that instead of pre-programmed music the reunion should feature what we all grew up with, namely live music. Attending rock concerts and buying albums and 8-Track tapes was the norm back then. 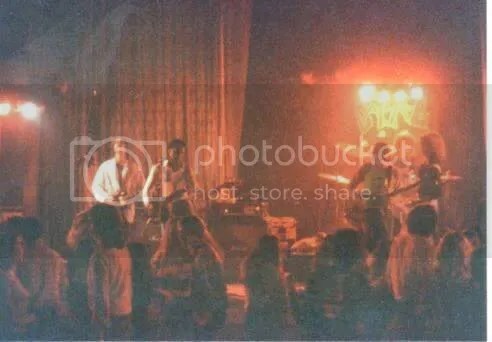 Live music flourished then whether it meant attending concerts in Akron, Canton andClevelandto the high school gym to local watering holes and other rented venues. I remember attending more than one concert in farmer’s fields! So it was decided that a live band would be appropriate. After all, we grew up with live music so, at this stage of our lives we might as well rock it one more time before all the rocking we do is in rocking chairs! And if you’re going to hire a band to play, why not hire a professional one that features a member of your own graduating class? 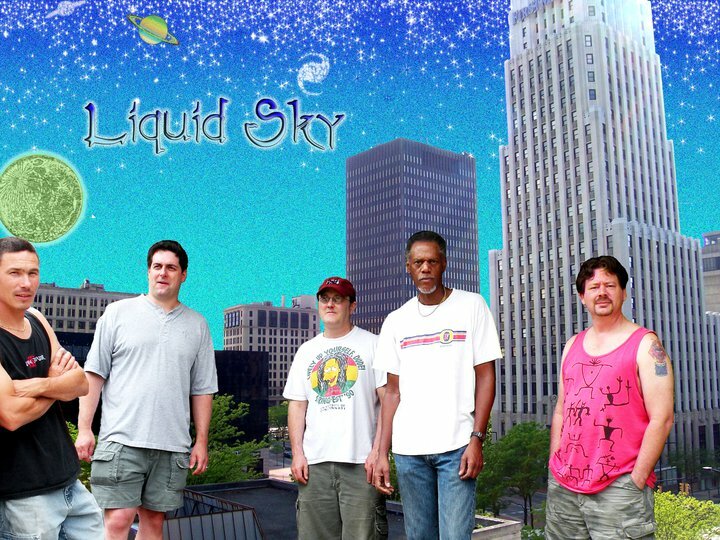 Hence, Liquid Sky, Marthey’s current band based in Akron will be spotlighted at the reunion in September. It seems appropriate. Liquid Sky is a group of five very talented men who have crafted a show which has something for everyone, particularly those who want to rock. The band specializes in music that most other rock-n-roll bands don’t usually play while keeping it highly danceable. In short, they are rock without apology. Liquid Sky consists of Marthey, Ben Powers, Brad Johnson, Bruce Lindamood and Chip Maggio. During high school Marthey played and participated in all the musicial entities offered by the school, learning musical technique, theory and exploring the musical worlds of not only rock ‘n roll but classical music, jazz, the list goes on. His tastes are wide and varied and he knows what he likes. And doesn’t. And he has never been afraid to express his opinions. He may not remember but I can recall once telling him about the virtues of one of my all time favorite bands, Mott The Hoople back then, and Ian Hunter when he went solo after Mott split. Marthey would have none of that as I recall him stating they were average at best. I was shocked and dismayed! Marthey liked bands like Yes, I liked Mott The Hoople. But even though they still remain one of my all time favorites, one couldn’t help but respect what Marthey had to say because he had the training, knowledge and gift of being able to play music. Any type of music. Other than fiddling around with a bass guitar and being in a short-lived rock band called the Poorboys (with a tip of the hat to John Fogerty) in junior high at John R.Lea Intermediate School, the only musical talent I have ever had was playing a jukebox. And try finding one of those these days! Marthey also retains many special memories of the OHS music programs he was involved in. 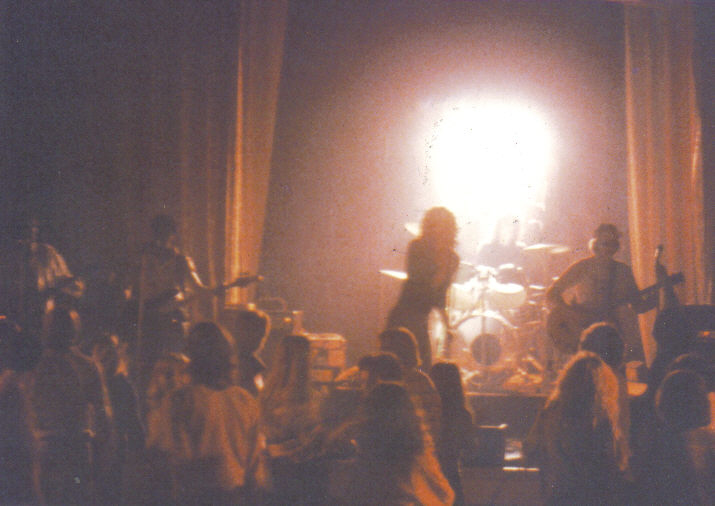 As was pretty much the case at every high school around the country during the 70’s Marthey was in his share of bands with fellow Orrville and Wayne County musicians, of which there was an enormous talent pool at the time. From then on Marthey was in a succession of bands, nearly everyone remembered to this day by those who appreciated live music. Caskey’s Family Campground & RecreationCenteris where the OHS Class of ’76 35th reunion will take place. With First Light Marthey was living the dream as a musician, playing gigs at high profile establishments all over northeastOhio, going on the road and making recordings. The band also played gigs with some national and internationally known bands and performers. The list is impressive to say the least. “We opened for The Clash, The Wailers, Eek-A-Mouse, Augustus Pablo, Steel Pulse, Taylor Dayne, Meatloaf, Ziggy Marley, Yellowman,Third World, Aswad, Al Stewart, Donovan, Toots & The Maytals, Burning Spear and others,” said Marthey. 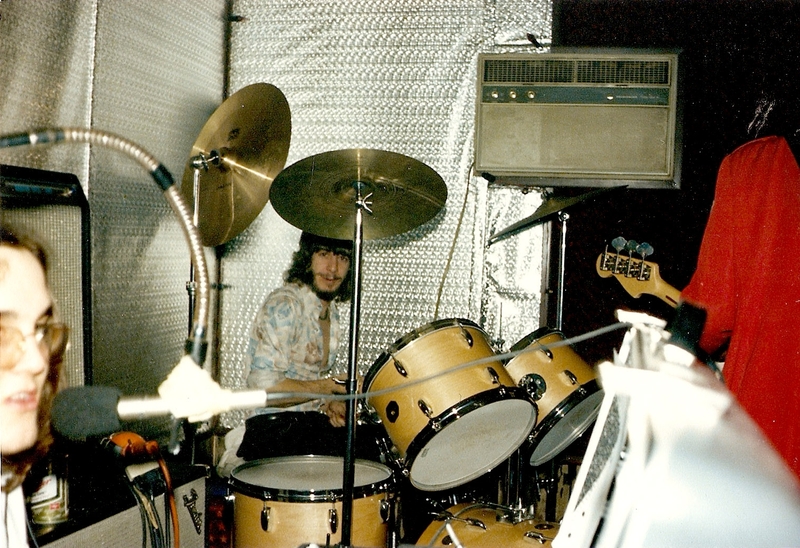 The band also spent considerable time in the studio. One of Marthey’s fondest memories of that time was when the band opened for The Clash at Cleveland Public Hall. Marthey then pursued a solo career as well. In fact, he played at my brother’s first wedding. 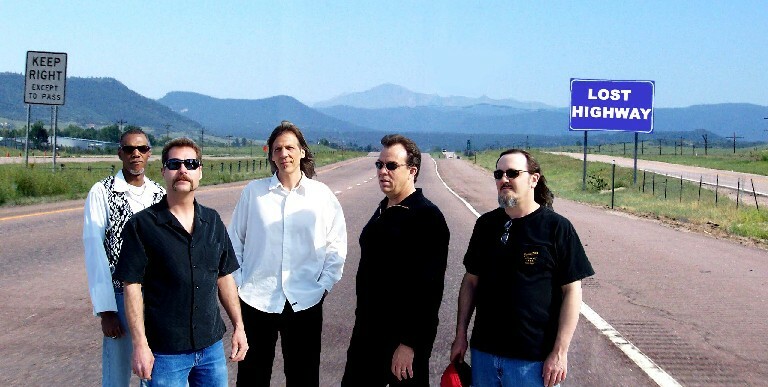 “Soon after that I joined Lost Highwaywith Chris Conway on bass, Mojo Edwards on guitar, Ben Powers on drums and George Bersch on lead vocals, harp & acoustic. We didn’t play very often because we were all so busy. The last time that band played out was last August (2010) at the Orrville Rib Cookoff. For the past year or two, Marthey has been a busy man on a mission. Recently Marthey made a musical connection with yet another Orrville talent, a generation younger, but an exceptional talent. 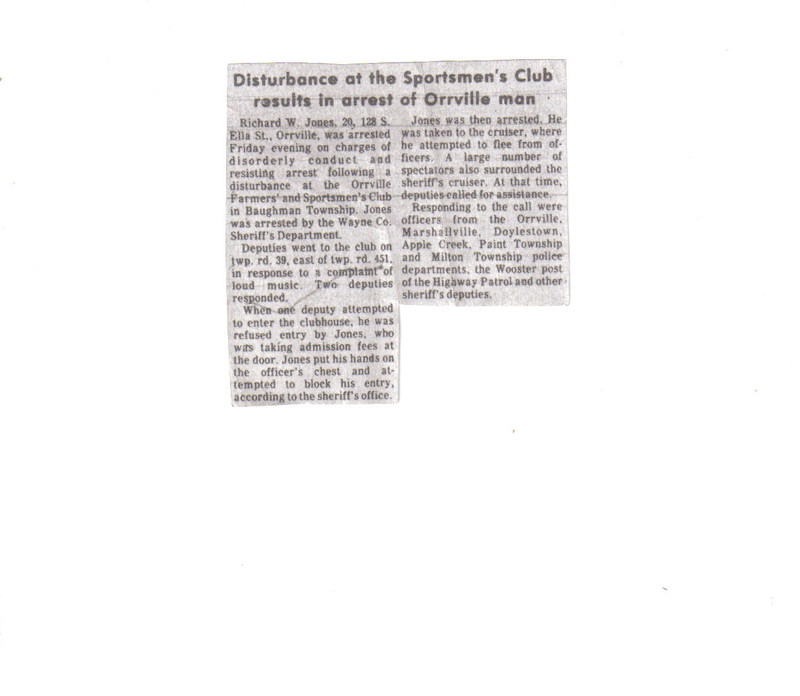 The Orrville High School Class of 1976 will be holding their 35th Class of ’76 Reunion on September 16-17, 2011. The activities will kick off on Friday evening September 16 at Orrville High School prior to the annual Homecoming Football game for a tailgate party and will continue on Saturday September 17 with an all day and evening gathering at Caskey’s Campground & Recreation Center located northeast of Orrville where OHS Class of ’76 alum Ed Marthey & Liquid Sky will be performing. NOTE: LIQUID SKY will be performing at Ripper Owens’ The Tap House in Akron on June 11, 2011! 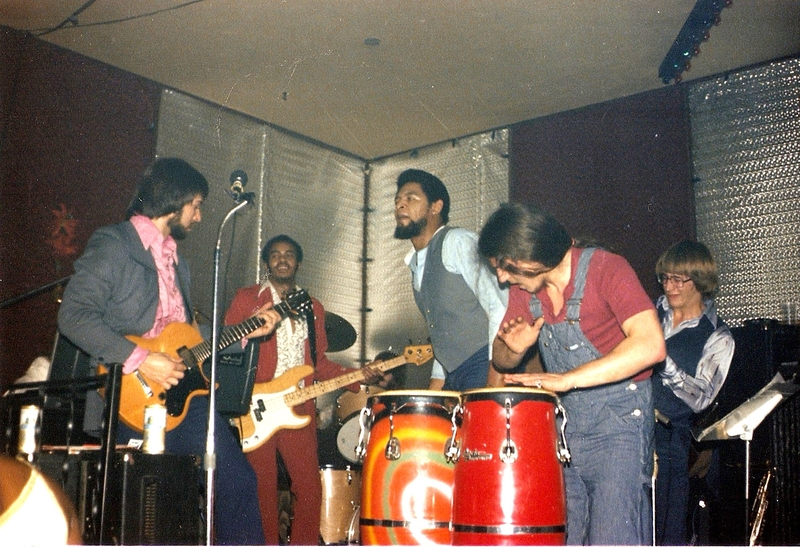 Back in the 1970’s Wayne County, Ohio in general, and Orrville specifically, had an abundance of talented musicians and bands and one of the more memorable groupings was a band called Soily, who soon evolved into Johnny Mirage. Both entities were basically the same musicians and their gigs were very memorable although unfortunately both incarnations didn’t last as long as one would have hoped. 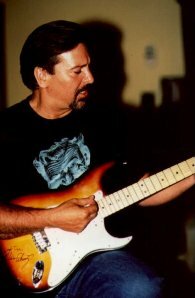 One mainstay in both bands was guitarist Mike Sommers. Sommers was one of the most talented axemen to play back in the day (and still is) and the first time I recall meeting Mike, sometime in the summer of 1972, he had his guitar in hand playing some wicked, right-on Santana licks. Around 1974 Sommers and a few others got together and Soily was born. Sommers also squeezed in additional gigs with another band at that time. 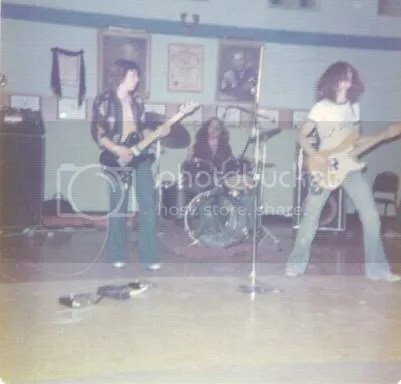 One interesting gig happened in June 1977 when myself and Rick Gidley rented the Sportsman Club and held a ‘party’ for my brother who was graduating from Orrville High School and all his friends. 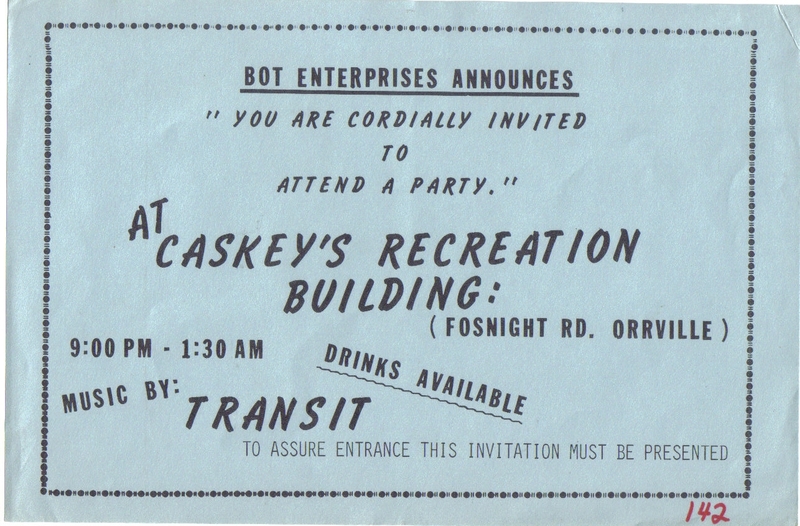 Actually, I think we let all 1977 OHS graduates in free and charged $2 at the door for everyone else (we had to pay the rent, band and buy beer you know!). Regardless, Soily was smoking that night and had the huge crowd rocking! We even had the honor of Wayne County Sheriff Deputies and other law enforcement officials make an appearance. What happened was the noise level got a bit too loud and with a H-U-G-E crowd the law showed up to try and quiet things down.. However, we had good ‘ol Bug Jones manning the door collecting the $2 entrance fee and when the Deputies showed up Bug tried to collect $2 from each of them before he would allow them entrance. They didn’t see the humor in Bug’s demand, and Bug Jones being Bug Jones, well……The article speaks for itself. One memory of that incident was once they put Bug in the back of the Deputy’s car I went to the other side and let him out. As he was sneaking off to the woods another deputy stopped him, handcuffed him this time, and put him back in the cruiser. Hey, I tried! About 3:00 Am we bailed him out! This line-up/incarnation became Damage. (For more on Damage CLICK HERE). Another Johnny Mirage gig that Sommers fondly remembers was a night at the Hitchin’ Post in Creston, OH when the place was jam packed and a group of us from Orrville we politely asked by the local law enforcement to leave town and never return. About ten of us barely made it out of town without being arrested. Since those Soily/Johnny Mirage days Sommers kept jamming. 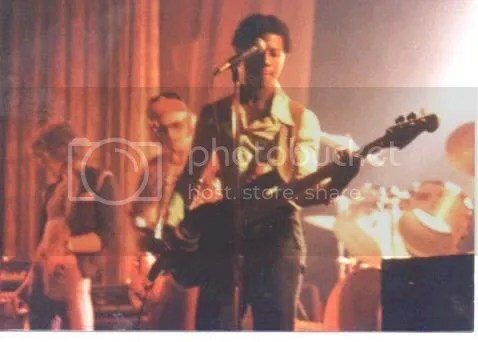 NOTE: If anyone has any SOILY or JOHNNY MIRAGE photos, or photos from any Orrville or Wayne County bands from the 60’s or 70’s please email them and we’ll post ’em! 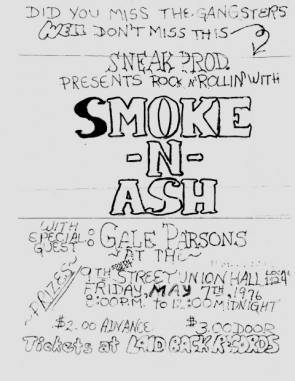 A ‘vintage’ flyer for the rock band SMOKE N ASH, a 70’s rock band based in the Orrville-Canal Fulton, Ohio area. Courtesy Cid-Mor. See the previous entry on SMOKE N ASH for more details on the band. 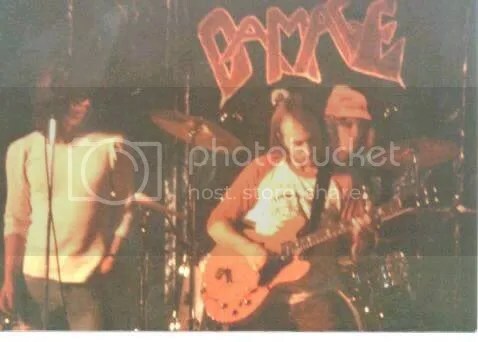 The band Damage, based primarily in Orrville, OH, was a great hard rock band that I spent time with, mainly as a roadie and some PR. They had a great following and all of the members knew how to rock, believe me! 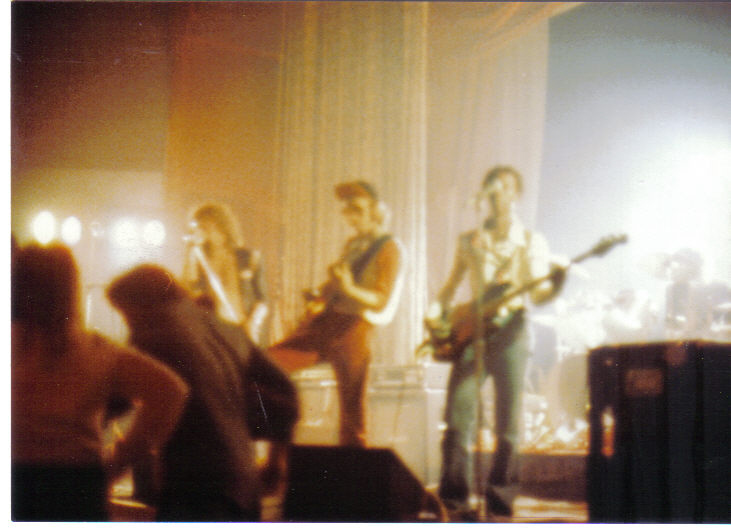 If memory serves in 1978 the band rose out of the ashes of a band called Soily that Rick Thistlethwaite was in with Bill Forrer and Mike Sommers. 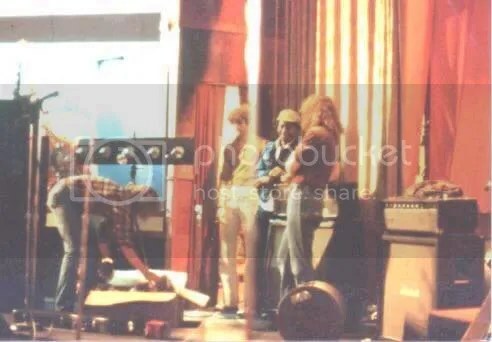 After some slight adjustments they settled on a line-up consisting of guitarists Jerry Kirven (Fat Taxi) and Mark Good, drummer Tom ‘Bones’ Morrison, bassist Michael Johnson and singer Rick Thistlethwaite. 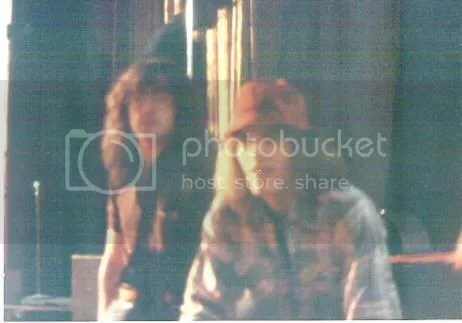 Rick Gidley joined the band as the light and sound technician. 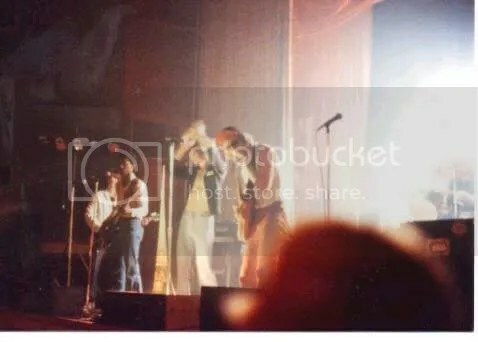 The band played primarily hard rock in the J. Geils Band-ZZ Top-Thin Lizzy vein and within a year had a large following. 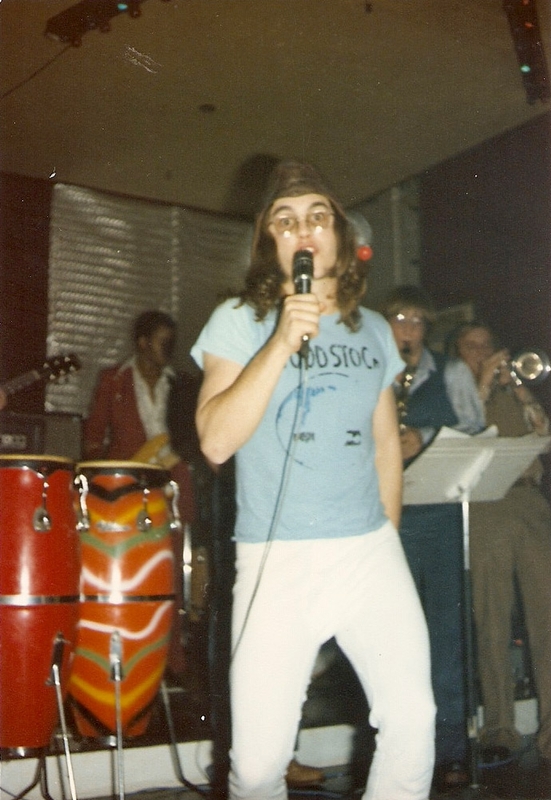 In addition to covers the band played several originals and soon was playing throughout the Wayne-Holmes-Ashland-Stark-Summit county areas in clubs and bars including the Hitchin’ Post, Columbo’s/Grouchos, Fort Fizzle and many others. Some of the theatres/clubs they played included the Castle Theatre in Millersburg, OH (where they set subsequent attendance records) and the Theatrical in Wooster and some Canton venues. 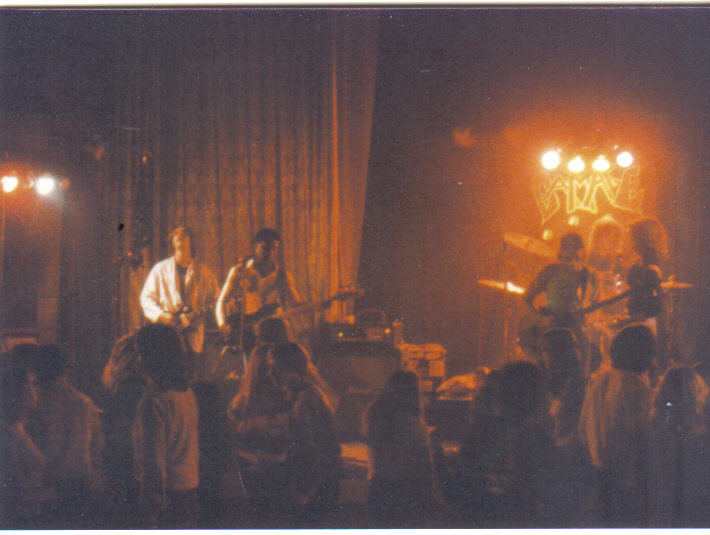 They also played venues like the Sportsman Club and various outdoor events including support for Savoy Brown/Kim Simmonds at Wayne County Speedway. A great, tight sound, stage presence and one hell of a following, when the music stopped the D-A-M-A-G-E was done! 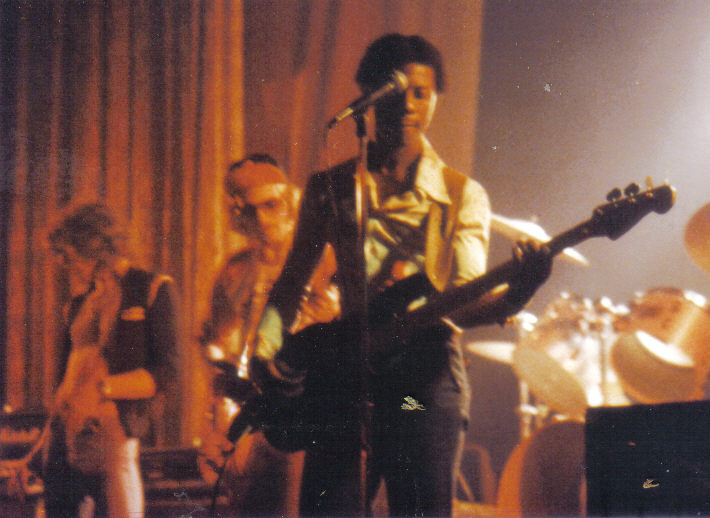 Unfortunately on January 24, 2008 Michael Johnson, Damage’s bass player who Kim Simmonds remarked could go to the “big time”, passed away at age 48. Below are photos of Damage in action from December 31, 1978 at the Castle Theatre. Photos were taken by Gary Fulmer. 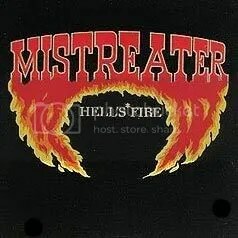 Mistreater was a band that was formed towards the latter part of the 70’s with primarily Wayne County band members. 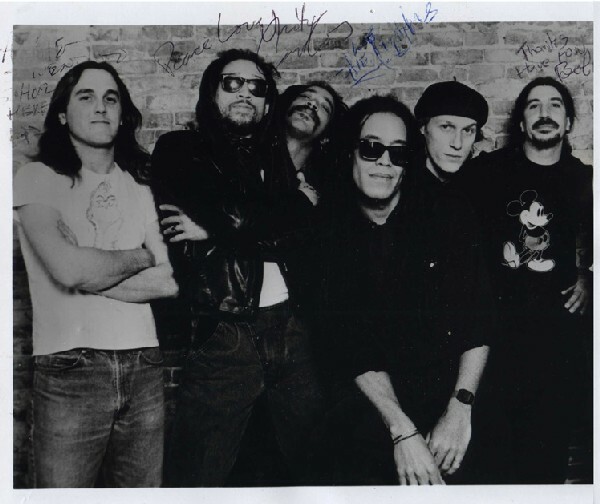 The original line-up included Larry Nottingham – guitar; Ronnie Wilmoth – guitar; Kurt Luedy – singer; Donnie Frase – drummer and Tom Piarowski – bass. You could consider them a hard rock band but I’d have to say they leaned more towards the heavy metal side. It wasn’t long before they started playing gigs all around north central Ohio including gigs in Wooster, Creston, Burbank, Medina, Orrville, Millersburg and elsewhere. They soon became one of the top ‘local’ bands in terms of talent and popularity. 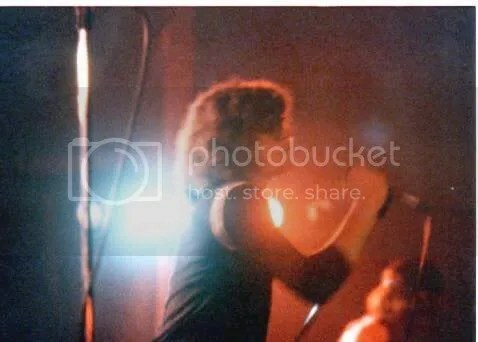 After Piarowski and Wilmoth left to form Toprow with Steve Hanna (guitarist) and Jerry Shell (drummer), Steve Walker joined Mistreater as the new bass player and in the early 80’s the band released the HELL’S FIRE album in 1981. A half dozen years later they released their second and final album, SWAMI before disbanding altogether. 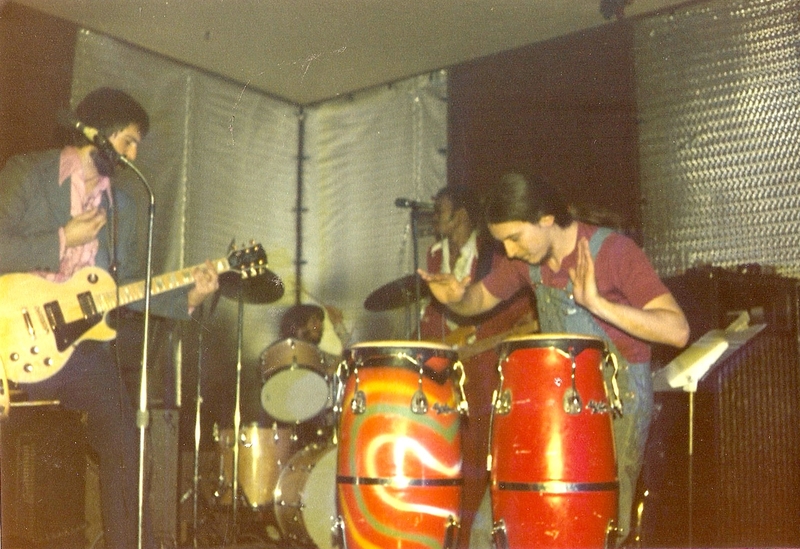 Smoke ‘N Ash was a band that was formed circa 1974 with Scott Miller of Orrville; Dave Bennett of Canal Fulton and Jeff Nichols of Massillon. They lasted until the latter part of 1977. I don’t have any notes left from back in the day and a cloudy memory hampers me but I do remember them being a tight hard rock band that played covers and some originals. I can say without hesitation that they played one of the best versions of Train Kept ‘a Rollin’ that I have ever heard. It burned! 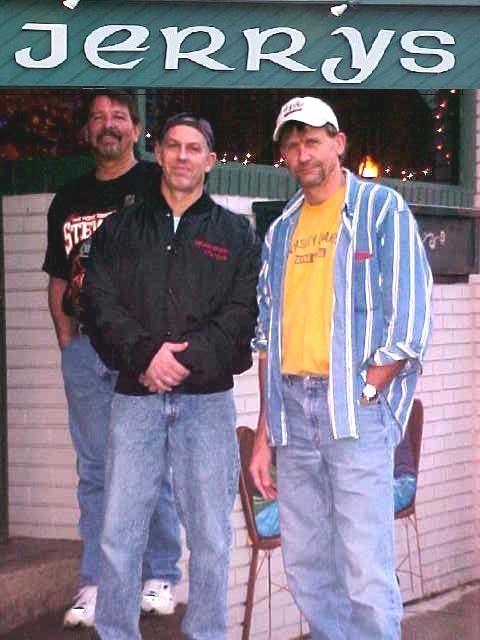 Among the many venues Smoke ‘N Ash played over the years was the Thrillseeker in Rittman, Massillon Legion, the 9th Street Union Hall in Massillon, the Moose and Columbo’s in Orrville and various other clubs and outdoor events throughout Wayne, Stark, Holmes and Medina counties. You are currently browsing the archives for the OHIO 70’s BANDS category.